Why not take the stress out of travelling and treat yourself to a Meet and Greet Gatwick Parking service also known as a Gatwick Valet Parking service? Operated by one of Gatwick Airport's Approved Operators: Help-Me-Park. One of their fully trained and insured chauffeurs will meet you at your chosen Gatwick Airport terminal, collect your car from you and take it straight to one of their secure Gatwick car parking site. When you return, just give them a call once you've cleared customs and they will meet you with your car ready for you to drive away. It really is that easy! For Meet and Greet at Gatwick Airport with less than 24 hours notice - please phone Reservations on 01342 712779 to confirm availability. It's important that we keep in touch (by mobile phone) to make sure everything runs smoothly. You will receive a text from Help-Me-Park 30 minutes before your scheduled arrival time at Gatwick Airport. Please call back to the mobile number within the text – when you are 10 minutes from Gatwick Airport to make sure you're on track for the meet up. When you arrive, your Help-Me-Park chauffeur will identify you personally by name - and they'll know the information you have given us about your travel plans and preferences. Gatwick Help-Me-Park operate 24/7, their fully-insured drivers will 'Meet' you right at the terminal so you can be at check-in within minutes after arriving at the Gatwick airport terminal. You know your car will be stored in a secure, ParkMark awarded car park - which has been checked and verified by the local police prevention team, it is monitored and manned 24 hours a day with secure fencing, alarms and CCTV so you can leave your car in complete confidence. On your return back into Gatwick Airport, Help-Me-Park will 'Greet' you. So you can drive away within minutes of clearing customs. All Gatwick Airport access fees are included within the price. You drive straight to the Gatwick airport terminal and 'Meet' the fully-insured Help-Me-Park driver at a pre-agreed time. The driver will inspect your vehicle, take photographs, check your mileage and check your return flight details to ensure they have your car ready just minutes after you land. PLEASE NOTE: Valid road tax and MOT status will be checked prior to arrival. On your return, after baggage reclaim and clearing customs, you call them on the dedicated Meet and Greet parking service number (detailed on your key receipt card they provide you with) to let us know you are ready and to proceed to the designated pick up point; Your driver will 'Greet' you, with your car, at the designated place, simply collect your car and get straight off home! 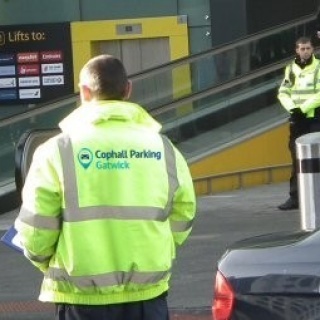 Cophall offers two types of Gatwick parking - park & ride and meet & greet. Gatwick park and ride is when you travel to our car park and hop on one of our buses to catch a ride to the airport. The biggest advantage of using this is the price, as this service is a lot cheaper than the Gatwick meet and greet service we offer. 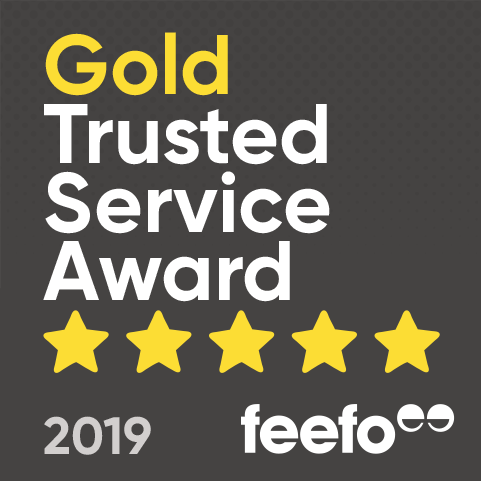 It’s a tried and trusted service our regular customers love. However, on the other hand, the biggest advantage of meet and greet (also known as valet parking) is convenience. With this service, you don’t have to travel to a car park that is off Gatwick Airport’s premises, all you have to do is turn up at your terminal and one of the staff members will take your car to the car park and bring it back to the same place when you return. There is an argument for using both, but if you have extra time on your hands then Gatwick Park and Ride is the perfect service for you, you will save money and the on-demand transfer bus service we provide for free will take you to and from Gatwick Airport. However, if you feel you have less time on your hands, then it is best to use the Gatwick meet and greet (or valet) service we offer to our customers. We have had a working relationship with Gatwick meet and greet operator Help-Me-Park for a number of years now and from our experience they have always provided a top notch Gatwick meet and greet valet parking service to our customers. Help-Me-Park has been accredited by Park Mark, an independent car parking security and safety regulator. The company has also been awarded “Buy With Confidence” from Trading Standards too. What’s more, Help-Me-Park is also one of a handful of airport parking firms who are fully approved to carry out airport parking by Gatwick Airport itself. The “Gatwick Airport Parking Approved” scheme has been introduced to help Gatwick meet and greet customers find safe parking. There have been many cases in which rogue Gatwick meet and greet firms have advertised a secure car park where the car will be stored, however it has ended up on the street, or dumped in a field. Or even worse, customer cars have been used by employees as their own personal car, returned damaged or not at all. Our valet parking price might be higher than other Gatwick meet and greet companies but we don’t cut corners and we don’t compromise your car’s safety for an extra £10. Check out these articles about the horror stories about rogue Gatwick meet and greet experiences. Check out our Cophall Meet and Greet Gatwick & Park and Ride Parking Reviews and see for yourself on how our Gatwick valet parking service compares. Travelling as a group with lots of bulky Golf Bags? - no problem! Going Skiing? No problem - our drivers will help transport your Ski equipment.